Engravings of the bones, muscles, and joints, illustrating the first volume of the Anatomy of the Human Body. 2d ed. London, 1804. Etching. National Library of Medicine. 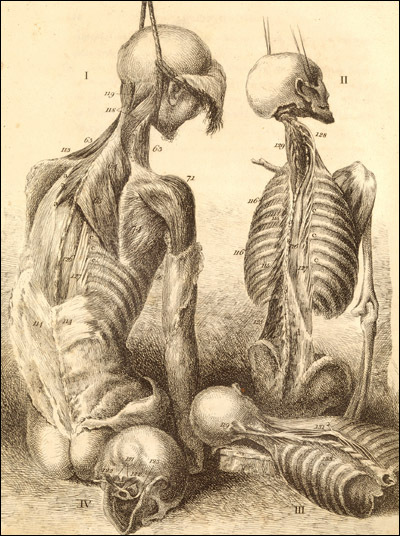 Bell criticized "the subjection of true anatomical drawing to the capricious interference of the artist, whose rule it has too often been to make all beautiful and smooth, leaving no harshness…." His own drawings and etchings are notably harsh.